From Saturday 8 to Sunday 16 December 2018, you will find all kinds of sailing and motor boats, water sports, nautical equipment, new technologies, boat rental services, tourism and fishing at the Porte de Versailles. We cordially invite you to this great spectacle, you will be able to see a wide range of our boats up close. 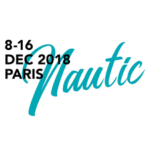 Our French Pacyfic Craft dealer will show you our models to visit his stand.